How Do Studios Calculate an Explainer Video Cost? Well, that depends on the scale of your company. If you own (or are working for) a startup or small business, you might find the cost of an explainer video equal to a month’s advertising budget, but for established companies, it might only be a week’s total spending in ads. The extra revenue from explainer videos, however, will justify the cost. That’s too much you say? Por favor, as customers, how much do you think is fair to pay for an explainer clip? I’m going to provide an answer for you on this blog. The right answer is: it depends on the production company you’ve commissioned. An average 60-second animated explainer video from a top company may cost you more than $20,000 per minute, a figure that still surprises some people. Explainer video costs are an active topic on Quora. This is because the costs for such videos are not set in stone, even if you buy from the same studio for a second or third time. Of course, a simple and short explainer video will be cheaper than a video animated in. Many factors contribute to the cost of an explainer video, they include video length, the complexity of storyboard, quality of voiceover, and ultimately the experience of the professionals involved in the making of the video (including Illustrators, animators, marketing experts, voice actors, and scriptwriters). Explainer videos aren’t easy to make, even an established explainer video company need several weeks to complete a project. On that note, the style of explainers also influences the timeframe. For example, a 2D video is easier to make than a 3D video. However, you should be aware that large agencies are not the only ones who can produce awesome, engaging, and mind-boggling explainers — small or new studios specializing in the animated video are also worth considering, particularly when you are on a budget. An explainer video takes a lot of work to make, even for just one minute (or maybe less!) of animated video. Creative talent including animators and illustrators are a must, and an hour or two with a scriptwriter will help you to create a piece of art. Other than that, you still need an art director to direct the animation, voice talent to narrate the story, and with some luck, a sound engineer to produce sound effects and a composer for a custom music score for your video. Sounds like a lot, huh? Well, don’t think that’s all. Those are only the people needed, you also need to factor in hardware and software necessary for production, as well as rent, electricity per hour, and other expenses. The cost of an explainer video is also affected by other factors such as quality, level of detail, demographic location, and taxes. Considering the complicated process to produce a high-quality animated video, it is very reasonable to say that a video will take approximately 100 man-hours to produce. It is difficult to say that the cost is expensive without knowing what processes are involved in it. Due to the fact that creating an animated explainer video is such a long process, this is a key factor in the overall cost. Northern American and Western European countries house some of the best agencies in the world, but they also charge premium rates to get the job done (see $20,000 above? That’s a good example) because they also have an expensive living cost — which means an increased salary for the artists. Agencies and animation studios that are based out of developing countries, however, charge less than those in first-world countries such as the US or UK. But that doesn’t mean that they produce lower quality videos. The difference in their living costs makes it easier for explainer video experts from developing countries (such as Breadnbeyond) to charge less for a similar service. However, there are always cultural differences that you’ll need to be aware of. Not all Asian countries are cheaper though, designers from Japan or Korea might cost you an arm and a leg because of their high living cost. This is the process to produce an animated explainer video and should help you calculate how long it will take to finish an animated clip and measure how much you’re likely to spend on it. Needless to say, the production makes up a big part of the explainer video costs. Writing an explainer video script template is the first step of creating an explainer and is vital to ensuring it turns out well. The script is the key to achieving an explainer video’s ultimate goal: explaining things, mainly products or services. It does take time for a writer to write an engaging message for your video. The writer needs to take some time to research your business and products so they are able to write a powerful script for you. An animated video requires illustrations to be made. You may need to assess several different illustration styles before you start and pick one that suits your brand. 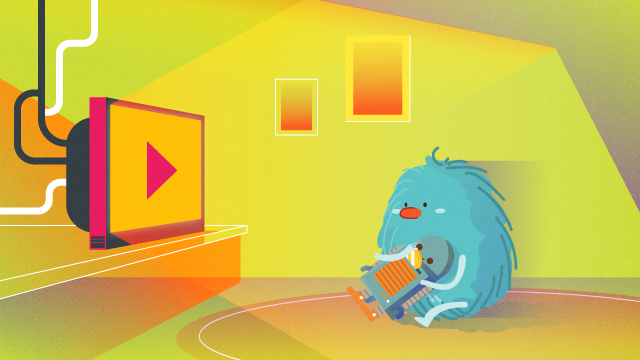 Some explainer video companies offer a wide range of styles, while some stick to only a few. Examples of illustration style include whiteboard animation, motion graphic, kinetic typography, and 3D animation. Once a style has been chosen, the illustrator will start visualizing the script with the chosen style. If there are no further revisions, the process advances immediately. The voice over is the audio version of the script. It needs to be recorded by a professional voice actor in a closed and soundproof vocal booth to avoid room ambiance. A high-end audio recording device is used to ensure the crispness of the voice being recorded. The animation stage takes up the most time in when producing an explainer video. After everything is in place, the animator animates all the illustrations carefully, assembling every movement, and blending them with voice, music, and sound effects. In order to deliver a professional result, a production company needs to use professional design software. The most popular software used by professional content creators are Adobe Illustrator and Adobe After Effects. The price of the software is accounted for in the final cost of an explainer video. Adobe Illustrator is used to drawing a cartoon character, and other imageries while Adobe After Effects is used to animate those drawings. A single Adobe After Effect license costs $999 and an Adobe Illustrator license costs $599. This expensive software is necessary and their cost needs to be factored into the end product. Adobe After Effects also requires high-end computer hardware in order to run smoothly and render the animation swiftly. At a minimum, you’d need an i5 quad-core processor, 16GB of RAM and a graphics card to run the software. Typically, it would cost $1,000 to $1,500 to build a computer meeting these requirements. Those are just some of the factors that affect the production cost of an explainer video. Every production house has its own standard pricing system. Some production house may charge more, some less. Ultimately, supply and demand will also have a huge impact on price. As a result of their ability to increase conversion rates, everyone is in the market to create an animated video for their product or organization. So, still interested in a budget-friendly explainer video? Take a peek at our portfolio of videos for our previous clients, don’t be shy to contact us once you’ve made your choice. You’ll be surprised at the price we offer our clients for a full explainer video package.